Keen to feature with Tailored Tasmania again? 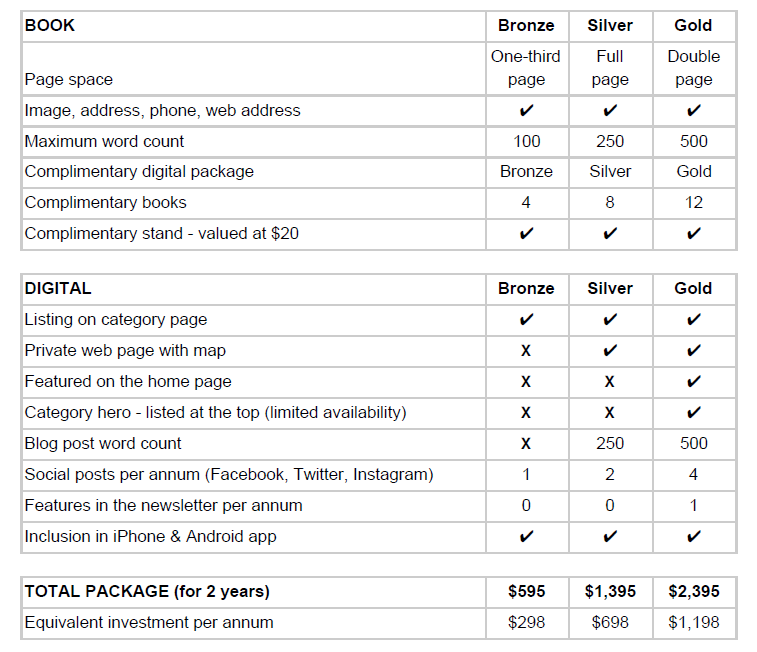 For your loyalty, we’re rewarding you with $100 off any of the packages below. We continue to share the very best of Tasmania with a growing international audience. Since market launch in 2012, the website and subsequent coffee-table books have become a trusted voice for where to eat, play and stay in Tasmania. For us, it's personal. We love Tasmania. We traveled the country talking about Tasmania when launching the first book and each Saturday we do the same at Salamanca Market - direct to your potential customers. But we won't stop there. We have 20,000+ social media followers and hundreds of accommodation providers display our books. We'll continue to work hard for those we feature. If you'd like to join us, choose from opportunities STARTING AT $298/year inc. GST (payment plans available) to be included in our exclusive book published every two years (monthly payments available). Publication capacity is limited so get in early. All prices include GST and deadline for inclusion is 6pm Friday, June 15. Current Social Media Status: 20,000+ across Facebook, Instagram + Twitter (54% increase). You may have more or less sway in the social media world, but why not tap into our audience as well as your own? Building on the website success, two hardcover books launched in December of 2014 and 2016. According to Hon. Will Hodgman, “Tailored Tasmania provides a unique way for visitors to unlock and enjoy the secrets of Australia’s most authentic and engaging destination; Tasmania. As a memento, gift or holiday guide, Tailored Tasmania has proven a real hit and I hope many more visitors have the chance to discover Tasmania with their very own copy. Thousands of copies have sold - we know visitors want to hear about businesses like yours in a personal, curated way. Tourism Tasmania, RACT and UTAS, among other large organisations, have chosen the Tailored Tasmania book to promote our state. Tailored Tasmania 2 launched in Dec 2016 and the next edition will launch early December, 2018. 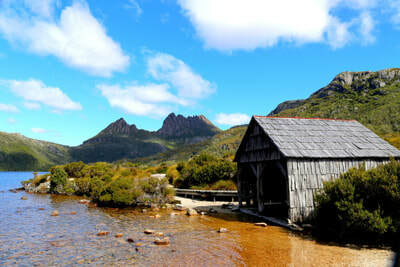 What sets Tailored Tasmania apart is the rich, bespoke content that followers have come to trust. Since launching, the website and social media presence has enjoyed rapid growth, indicating people want to hear about businesses like yours in a personal, first-hand way. We are local and we're passionate about Tasmania - in short - we care about local business and believe visitors to Tasmania should experience our very best. As a business, you get exposure on a website with 57,000+ unique annual visitors and access to 20,000+ social media followers. You get on-ground local assistance and a professional tourism writer to craft your description if requested. We have a permanent presence at Salamanca Market; exposure to 25,000 plus visitors on busy summer days, at Hobart International Airport, in hotel rooms, and in bookstores nationwide. The book drives traffic back to our online presence and strengthens the brand. 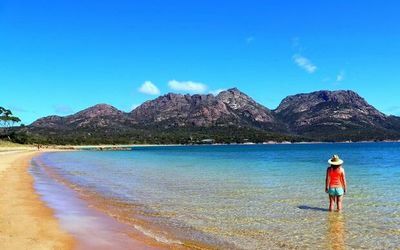 We have also promoted Tailored Tasmania in other ways, including via Facebook advertising, our national book tour, the State Cinema and more. We continue to develop new partnerships. 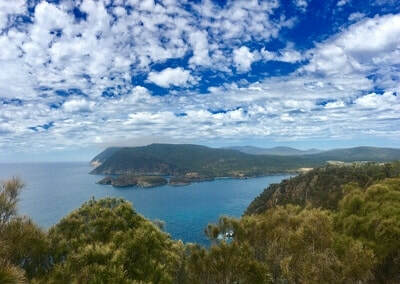 I am a born and bred local, who has been writing about Tasmania since the age of 5 and (more recently) have worked 7 years as Destination Journalist/Editorial Coordinator at Tourism Tasmania. I accepted a tennis scholarship to UNC Charlotte, North Carolina where I graduated with a PR/Journalism degree. I now freelance and have worked with Tourism Tasmania, Pumphouse Point, RACT and Federal Group among others. I have written for publications including Lonely Planet, Australian Traveller Magazine, Jetstar, Luxury Travel, Escape Liftout and more. Need some writing done or have visions of your story splashed across a travel magazine - get in touch. Want your web copy re-written or a full PR plan? I am here to help you. I love Tasmania, and want people to enjoy it as much as I do. Click on your chosen package and pay securely online or get in touch with us if you have questions. We'll walk you through the process including acquisition of imagery, copy writing, approval process and payment via invoice if you'd prefer. We look forward to potentially working with you. Businesses to supply images. We can recommend photographers if required.